Pat Miles is a life-long, third generation Grand Rapids resident. His paternal grandfather worked in a local GM plant and was a union steward. His maternal grandfather was an Isabella County farmer. His parents, Pat Sr. and Shirley Miles, put themselves through college and taught him important lessons about faith, hard work, and service. His dad is a Steelcase retiree and his mom Shirley retired after teaching early elementary students in the Grand Rapids Public Schools for 25 years. Pat's sister Angela works in broadcasting in Chicago. Angela and Pat celebrated their parents' 50th wedding anniversary in July 2009. Pat was a leader of his youth group at Kentwood Christian Church. He attended bible camp at Rock Lake Christian Assembly in Vestaburg, Michigan each summer from fourth grade to ninth. He spent his freshman year of college at Great Lakes Christian College in Lansing. He remains an active member of his church, Grand Rapids Christian Church. Pat Miles attended Grand Rapids Public Schools and graduated from Ottawa Hills High School at the age of 16. He graduated from Aquinas College in 1988 with a degree in business administration and economics and was editor-in-chief of the student newspaper. He worked in an office furniture factory as a spot-welder all four summers during college. His hard work got him into Harvard Law School. While there, he became editor-in-chief of the Harvard Law Record, one of America's oldest law school student newspapers. After Harvard, Pat Miles returned home to Grand Rapids in 1991 to start his career and work for the community. Over the past two decades he has worked hard as a business lawyer helping small, family-owned businesses start, grow and create jobs in West Michigan. His work with businesses of all sizes helped him understand the challenges business face and how to anticipate and prevent problems. He has worked with successful entrepreneurs and job engines. He also helped cities, townships and villages fight cable companies to get lower rates and better customer service, win customer refunds, protect public safety, and increase video competition. Pat Miles is a recognized West Michigan community leader, who for nearly 20 years, has worked to expand education opportunities, improve neighborhoods and the quality of life, and increase the number of healthy families. For example, he serves on the DeVos Children's Hospital Foundation Board, he lead Inner-City Christian Federation a faith-based non-profit which builds and creates affordable housing ownership opportunities as chairman, he is the immediate past chairman of the Aquinas College Board of Trustees, and serves as Treasurer of Hope Network, Spectrum Health Hospitals, and the Metropolitan Grand Rapids YMCA. Pat Miles' two decades of service and results as a community and business leader are recognized by awards from the Grand Rapids Area Chamber of Commerce, State Bar of Michigan, Grand Rapids Branch NAACP, and both the Grand Rapids and Michigan Jaycees. 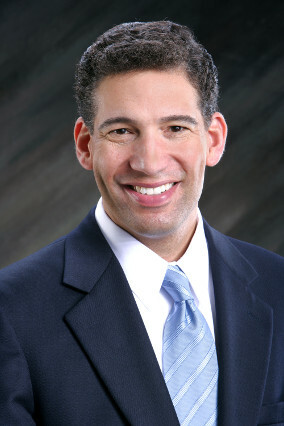 In 2002, he was elected to serve as president of the Grand Rapids Bar Association. Although his service and leadership have earned him numerous awards and accolades, those are not what drives him. Helping and serving people are his motivations. For example, four years ago he established a scholarship for outstanding minority students pursuing an education and career in education or business in honor of his parents. Pat Miles possesses a unique breadth of experience in the private sector, helping local businesses, representing cities and consumers throughout Michigan and the U.S. locally and in Washington, and serving charities such as schools and healthcare organizations.